This article is only about the marine mount TSM-B1. 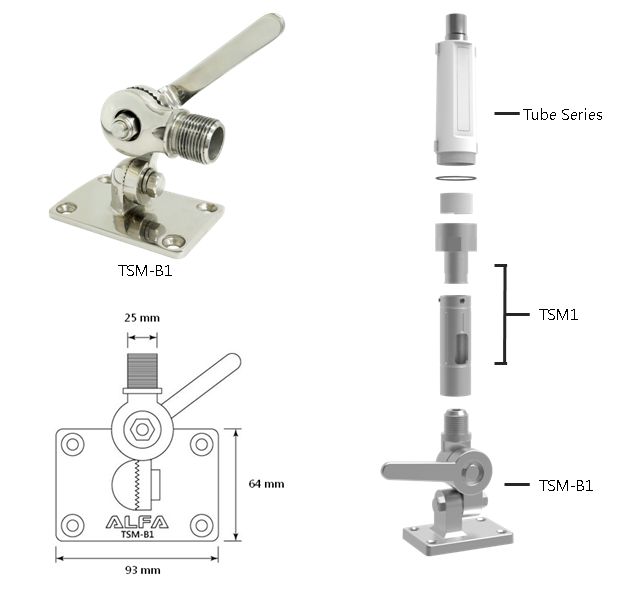 An "ALFA Network Tube" or the "Adapter Kit TSM1" are not part of the scope of delivery of this article. These would have to be placed separately in the shopping cart and ordered. With this 12V DC adapter you can connect ALFA R36 and ALFA AIP-W525H on the road using a standard 12V car cigarette lighter socket. With this extension cable, you can connect suitable devices to a power supply.